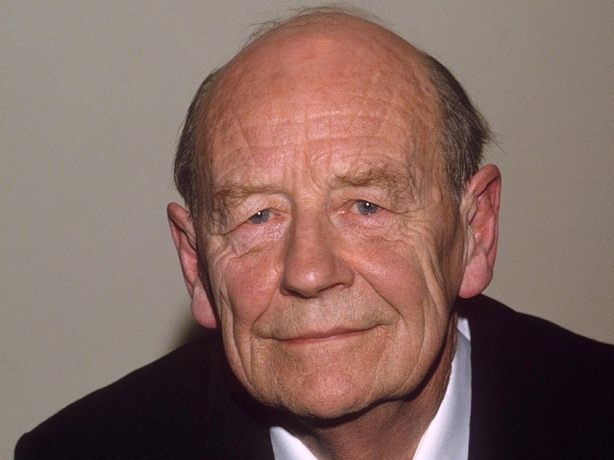 The late, great William Trevor, who has passed away aged 88, was one of 12 major Irish writers to be included in an RTÉ Radio Millennium flagship project in 2000. It set about establishing what Irish writers were likely to be read in 100 years time. 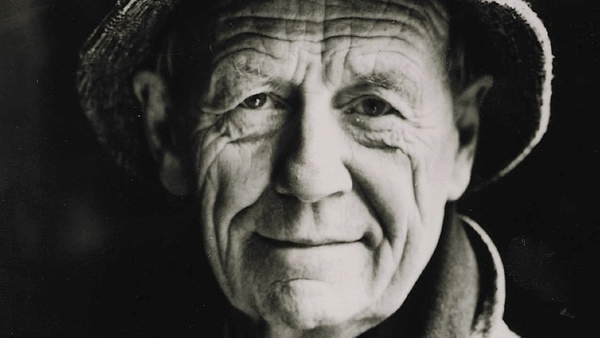 Those chosen included Edna O'Brien, Marina Carr, Nuala Ní Dhomhnaill, John McGahern, Seamus Heaney and John Banville, as well as William Trevor. An accompanying radio series included some of the writers in interview with broadcaster Mike Murphy, and panel discussions on other writers, later collected in a book entitled Reading The Future: Mike Murphy in Conversation with Irish Writers edited by Clíodhna Ní Anluain, and published by The Lilliput Press in Association with RTÉ. 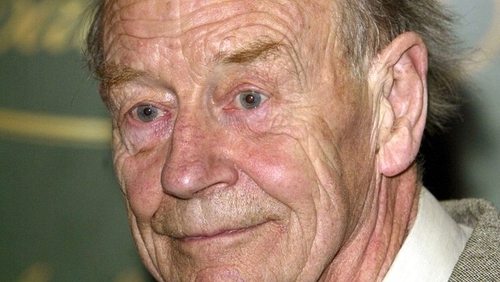 In this major interview recorded in summer 2000 in the RTÉ Radio Centre, William Trevor talks about his early life and family, living in many parts of Ireland because of his father's work as a bank manager, his love of cinema, schooling in Sandford Park, St Columba's and Trinity College Dublin, his wish to be a sculptor, his work as a sculptor, his moving into work in an advertising agency, moving into writing fulltime, his innate curiosity with English life when he moved there as it was all so fresh to him, just as Ireland became for him later on, his parents' unhappy marriage which he describes as something with which ' Strindberg would have been excited about', and his fondness for the North of Ireland. He also discusses the writing process and criticism, his relationship to his readers, as well as other writers he admires and whom he enjoys reading from Charles Dickens to John Updike. He also considers adaptations of his work. in particular for television. Trevor says he aims to write stories that hold a reader's attention... 'my priority is being a story teller'. MM Do you tend to look back at your writing career and your life and has moving into a new century been a time for assessment for you? WT I don’t tend to analyse my writing career or my writing. I look back, more now in old age, but that’s just looking back at childhood and memories and that kind of thing. Looking back and talking to my wife plays a part in thinking about things, but not in any serious way. No. MM How do you assess your own once work? WT I don’t assess my work and that’s what makes me a difficult person to talk to about my work. MM Is it fair to assume that you have led a quiet, contented and relatively uneventful adult life? WT Yes, I do live a very quiet life. I have been lucky. It hasn’t been eventful in the wrong way. Yes, I agree with that completely. MM You’ve made the point many times that as an outsider you’re able to bring an extra dimension to your work. What do you mean by being an outsider? WT All fiction writers, indeed all artists are by definition outsiders. We are outside society because society is our raw material, and we write about it. It’s dangerous to come too close, even to the edge of it. I think of someone like myself now as interminably beyond the Pale, looking in, when I think of Ireland. I think I see Ireland more clearly through the wrong end of a telescope rather than the other way round. I listen to RTE and read The Irish Times every day of my life. It’s very easy to keep in touch with the telephone and all the rest of it. However, not living in Ireland means that when I come here I’m struck by what a different place it is from when I was a child and a student. The 1950s for instance, were a time of extraordinary tranquility in Ireland. It’s not a tranquil country now. At the same time, changes I always feel are superficial changes. They’re surface changes. The Ireland that I think of with great affection is still there. The word ‘friendliness’ is used. It is not just a cliche but actually true that Ireland is the friendliest country in the world. Irish people are generous with themselves and generous with conversation. They’re generous with the way they hail you on a country road. You don’t get that anywhere else in the world. MM Did growing up a Protestant in a Catholic community contribute to your feeling of being an outsider? WT I think that’s where that feeling began although I’ve denied it quite often when talking to people and that has been wrong. I and my brother and sister, growing up in the small towns of Ireland were part of the four per cent minority. We were naturally outsiders because we were different. We didn’t go to Mass. As a family we were caught between De Valera’s new Catholic Ireland and the old Anglo-Irish culture of Georgian and country houses. We were ‘lace curtain’ poor Protestants until my father advanced in his career. All that made us outsiders. MM Were you aware of the disintegration of the Anglo-Irish ascendancy and did you mix with the remnants of that society? WT Yes they were extraordinary. We mixed in a way that would never have happened in England because to be a protestant there wasn’t to be a remnant. They welcomed us because they also were a little sliver of society left behind. They tended to go down a class in order to make friends with people and it didn’t worry them. We had a mixture of shopkeepers, people from the big house and anyone who seemed to belong to our Protestant tradition around us. Occasionally there would be many Catholics around us too because my father was a very gregarious man. MM And a bank official and later a manager. MM He would have been mixing with Catholic society in any case. MM Did you see much poverty as a child during the 1930s, a time of great deprivation in Ireland, as you moved around from Mitchellstown, to places like Youghal, Skibbereen and Tipperary as your father was transferred through the bank system? WT Poverty was the most notable image that there was. There were bare feet in the streets. The back streets of Youghal were very, very poverty stricken. You could smell poverty. The weekend excursions that came on the trains from the slums of Cork were quite extraordinary. These wild children did use to run all over the strand and all of them were very poor people indeed. I’ve never forgotten that. It’s impossible to forget the poverty of that period in Ireland. MM You and your brother and sister attended the Loretto nuns. What did you do in terms of prayer and religion classes being Protestants in a Catholic school? WT We were put out of the classroom when something like that was happening and put into the cloak room. Some kindly nun or lay person would come along and take us off to the kitchen and give us biscuits. I loved the nuns and those years with them in Youghal. It was a very happy school. The teaching, although severe sometimes, was good. MM All the Catholic children must have envied you getting off class? WT I think they did. MM As you were growing up, were there indications in your early life that you would one day write? WT I don’t think that there were obvious indications. My father was a great storyteller. He would bring ordinary anecdotes which he would pick up across the counter in the bank and would tell us then at meal times. My mother was a great reader of middlebrow books. Somehow or other although they got on in no other way whatsoever, that combination seems to me to be something that has perhaps affected me, or maybe it just simply gave me the idea that I one day would like to write stories down. MM Did the fact that your mother read middle brow books result in you reading the same books because they were around the house? MM Did you enjoy going to the cinema? WT Going to the cinema was the best treat of all, it beat sweets or anything else. It was marvellous. I remember going to the cinema first of all with my father on a Sunday in Youghal. He would just take me. My brother was too young and he might be frightened. There were films I remember like Round the Wash Tub with Jack Holbett and Cecily Corkridge which he loved. Later on when we moved to Skibbereen, we would be taken now and again as a tremendous treat to Cork, to the cinema, always to see unsuitable films really for children but we liked them. There was the Pavilion, the Savoy or the Palace. The Pavilion and the Savoy were extra special because they had a restaurant and afterwards you’d have tea there. It was a marvellous outing. Some years ago, the man from the firm of builders who demolished the Pavilion, wrote to me and asked if I’d like a bit of it because he’s heard of my connection with it. I said I would but I regretted it afterward because I wondered how big this bit was going to be. He sent me part of the balcony rails which he had framed with a little note to remind me what it was underneath. MM Did you have the mandatory crush on any movie stars at any time? WT I used to think I had a great crush on Myrna Loy, but looking back, I think she was a mother figure, because she was years and years older than I was. I liked them all. I remember Jane Wyman and Loretta Young who has just died. I became involved in the cinema in a serious way when we moved to Tipperary because when we got there after about a month the cinema was burnt down. Then a new cinema was built by a man called Mr. Evans. He ran a bicycle shop in the town and he built a marvellous cinema called The Excel. That was the beginning of my real love of the cinema because my brother and I would go every Saturday and we’d see the serial and then the big film. MM I think one of your finest works is the novella Nights at the Alexander. Is it based on the Excel? WT It’s based on that particular cinema. We watched the building of it and wondered if we’d remain in the town long enough for it to be finished but they built it quickly and indeed we did see it completed. It was quite different to the other small town cinemas. It had lovely curtains with butterflies on them and a kind of elegance that is great. MM I know you’re a great admirer of Charles Dickens. When did you start to read him? WT I stopped reading thrillers when I was at school and I began to read books from the school library rather like the books my mother read. I read authors like Francis Brett Young, Victoria For, Cecil Roberts and good middlebrow writers like that who don’t really exist any more. I read these books about a world which I knew nothing whatsoever about. They were all set in England in villages or in big houses and doctors were quite often the heroes. I read my way through that kind of book and then it palled a bit. One of the first better books that I read was The Moon and Sixpence by Sommerset Maugham whom I admire as a short story writer to this day. Then I got hold of Dubliners and I was away. MM What was it you liked about James Joyce? WT He was an eye-opener. WT I hadn’t read very much Irish literature except Charles Kickham perhaps which I found difficult, but Dubliners was splendid and still is. MM What was it that you liked about Dubliners? WT He was great storyteller and great storyteller is always simple and there’s something about those stories which makes them for me the best of Joyce. I like Dubliners and A Portrait of the Artist better than anything else of Joyce. I tried all of Joyce’s work. It wasn’t simply because as a boy of sixteen when I read Dubliners that it was important then - it is important to me now. It’s a great collection of stories. MM Where did Dickens come in? WT Dickens would have come in round about the same time as Joyce or perhaps a little bit earlier. My father had got a collection of Dickens by collecting Sweet Afton cigarette coupons, sending them away and these rather handsome books came back. Pride and Prejudice as well as a couple of other classics were in the single bookcase in the house at the time and with nothing else to read I began into Dickens’ Nicholas Nickleby. I had great difficulty getting into Dickens. I found him heavy going but what I find now is that he is the best author of all to re-read and I love re-reading. I re-read all the time. Going back to the same scenes, to the same story scenes, to the same characters is marvellous. MM Have you applied to your own writing some of the techniques that Dickens used, such as never feeling that a character was too small to describe in full detail? WT No character is ever too small to describe. When you have any character on a page, that person has to appear in the reader’s mind. The reader must see and know about that character. My job is to create an image first of all and then when I think that person can be seen I take it a little bit further so that the reader can feel the person as someone you would talk to. It’s then it begins to work for me. At the same time I can never let that character become too big because if he or she becomes too big and too important it wrenches the short story or the novel in the wrong direction. So you cut like a filmmaker cuts. I cut with a scissors and cut out pages. The most exciting part about writing is cutting. MM It must be important being omnipotent. WT Well it is rather nice actually. It’s very agreeable. MM Let me take you to school now and to boarding school in Dublin. You went to Sandford Park School and to St Columba’s College. I don’t think you were entirely happy as a boarder? WT Before those two schools I went to The Tate School in Wexford and I left that after a very short time and then I went to Sandford Park School and in the course of all that I missed a huge amount of education. MM Did you have a Cork accent at that time? WT Certainly when I got to Dublin I had a Cork accent. It was mocked by the Dubliners. I had a really hick accent. I wasn’t happy at Sandford Park although it was a good school. It was a difficult school to be a boarder in because there were only about twelve of us. The other eighty or ninety boys came every day and went home and sometimes made you more homesick than you needed be, to see them clearing off home. MM Did you participate in sports and all that? WT I played rugby for the first time in Sandford Park. MM I get the impression from your essays that you enjoyed St Columba’s College quite a lot and that it was a school that was still at the tail end of the public school system in England. It had a hierarchical system in which there were traditions, bullying and perhaps a vaguely, sinister system of administering punishment? WT Yes, St Columba’s College was founded by the man who later founded Radleigh in England. He started by creating a school in Ireland for the ‘sons of Irish gentlemen’ as I think the expression was. It was a posh school to use a contemporary word. When I was at Sandford Park, we thought how strangely they spoke. We would imitate the Columba’s accent. But when I got there that school was very pleasantly mixed. There were a fair number of Anglo-Irish representatives there, but there were also a lot of shopkeepers’, farmers, clergymen’s sons there. It was in those days a good school, because the bullying which had been a feature of it in the past had been stamped out. I do remember being beaten a couple of times and very unpleasant it was too. MM Were you beaten by teachers or by prefects? WT I was always beaten by prefects but you could be beaten by a house master or by a headmaster. MM But the prefects had permission to beat the younger boys didn’t they? WT They did, which is not a good idea, If you’re going to be beaten, you should be beaten by a responsible beater with a license or whatever. It was however an interesting school because the staff were interesting men. That’s just by chance. It was during the war. I remember it with some affection now having mocked it in my writing for a long time. I do look back on it as being probably a very good school. MM At St Columba’s you met with Oisin Kelly. He was your art teacher but he was also one of the best known sculptors in Ireland at the time and he led you into a brand new world, didn’t he? WT Yes he did. When I left Sandford Park to go to Columba’s, I was determined to be a writer. I was already one of the boys at Sandford Park who was good at English. MM Were you good at other subjects? WT I was good at Irish not so much because I was good at languages but because I was good at writing stories in Irish. I would make them very simple. By using few words you could achieve effects so I got reasonably good marks but I was much better at English. I was pretty ordinary at Maths and very backward in Latin which I never learnt until I went to Sandford Park. I never learnt French until I went there either and I went there quite late, so I was always behind and that stuck with me for the rest of my life. When I got to Columba’s I noticed that every second boy wanted to be a writer. I wasn’t the only one any more. I rather liked what Oisin Kelly was doing and he interested me in woodcarving. I used to go to his house every Sunday and he would work away in his studio, which was a conservatory and I would try to make things too. I became fascinated by his sculpture and I dropped writing altogether. MM Did you find you had an aptitude for sculpting? WT Yes I did. I wouldn’t have had an aptitude for painting because I wasn’t a good enough drawer. I found sculpture much easier to do. I could draw with clay as it were. I liked using chisels and I began to collect them. Old ladies would give me collections of chisels because it was a very genteel past time to carve breadboards although they had no use for them. In Port Laoise, where we lived at the time, they heard I was carving and someone would give me a chisel and someone else would give me another. MM How was Oisin Kelly as a mentor for you? “I can’t give you advice on anything, but I can give you a bit of information”. That’s what he was like. MM You kept up your sculptural endeavours when you went to Trinity in 1946. You have said: “I made little of, and contributed nothing to university life”. It sounds like you regret leading a relatively fallow life in a time in which you should have been experimenting more with living. Is that so? WT I just hadn’t any interest in being a student. Perhaps I should have gone to the School of Art. I just wanted to find myself a garret and go on sculpting and make a living out of it. Having previously wanted to be a journalist and to make a living as a writer, all that was gone so I was onto a new tack now. And then I agreed to stay on because my family made rather a fuss and kicked up a rumpus when I said I wanted to leave and so I agreed I’d stay on and finish the course which I did. MM What were you like as a young man in those days? WT I was shy. I’m still very shy. I’m not particularly gregarious. I remember other things better. I remember I was always rather poor. I never had enough money. I had a group of friends all connected with the art world and who were students at the National College of Art. We used to meet and drink together. They were all fellows, there were no girls among them. Then I began to take Jane out and that changed things. It’s so good for men to go out with ladies as it were. Everything is softened - it’s civilised. MM I presume the fellows dropped you immediately when you started being so anti-social? WT Actually we got married very quickly - we were married very young so I dropped them I suppose. MM Who were some of the artistic people that you socialised with at that time? WT David Holt and Patrick Pye were around and I remember the actor Conor Farrington. He wasn’t in the art world but he was there as a drinker as well as a few others. MM As a sculptor you did extremely well. You exhibited with The Living Art Exhibition so you must have been a part of the artistic life around Dublin at the time? WT I particularly went to the cinema and sat through all the variety shows. I also went to The Gate, The Abbey and occasionally to The Gaiety and The Olympia. Visiting companies would come there. I remember Elysian McCabe in the Olympia. The theatre was a weekly visit. MM Why did you decided to give up sculpture? WT I had to leave Ireland. I was married I think for about a year and living in County Armagh as a teacher. We knew the private school that we were teaching at, was about to close. So we went to England where I worked as an art master to a school in The Midlands. I left that after two years and I decided I could make a living carving, perhaps commissions for churches and this kind of thing, and I did. When I was in Trinity, the most interesting thing for me was The Books of Kells which I used to visit every day and copy bits of it. And I made a lectern - four big panels - based on the figures in The Book of Kells. I had to invent one of them because there were only three. And that is there to this day in a church near Rugby in Warrickshire. MM As you mention that, you also carved the war memorial for St Anne’s Church in Dawson Street, Dublin. That’s still there also. WT Yes, I did. My idea when I was still at Trinity was that I could earn a living as a stone mason doing gravestones. Michael Biggs and I decided we’d set up in Dublin, but I didn’t do that. I knew that I wasn’t as good as he was and I wasn’t going to be particularly good as a craftsman so I backed out. I felt that it wouldn’t work. But I thought I might make a living carving figures in England. As it turned out I didn’t and I became a visiting art master to a number of schools and we lived in the West Country rather like one of Thomas Hardy’s characters in Jude the Obscure. When the first child was about to be born and there wasn’t enough money coming into the house, even though I’d sent my wife out to work, we moved to London where I got a job writing advertisements in an ad agency. In the office I had a lot of time on my hands. They gave you four days to write an advertisement about paint, or socks, or whatever. I had all this time so I began to tap out short stories. They seemed to work and then I was commissioned to write a novel.